The BEST sweet potato recipes to jazz up your lunch or dinner routine! 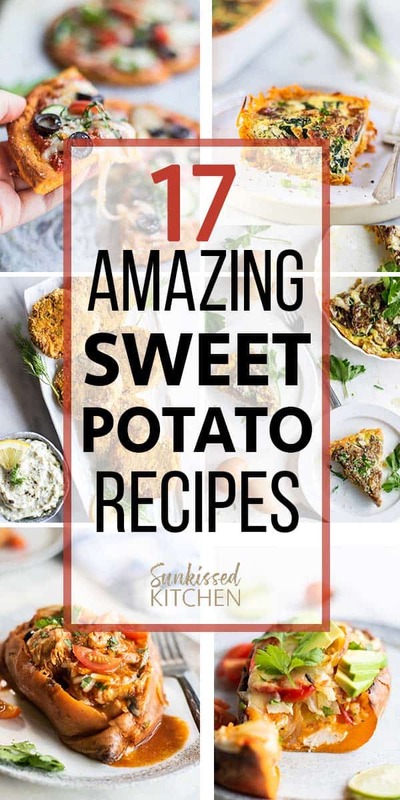 Use this list to find new and creative ways to use sweet potatoes, including baked sweet potatoes, sweet potato casseroles, and sweet potato mash! 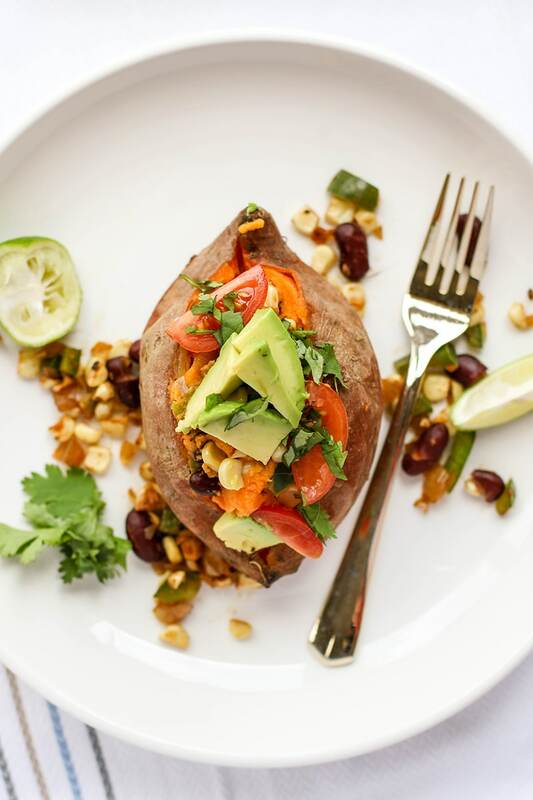 The perfect baked sweet potato comes in all shapes and flavors. 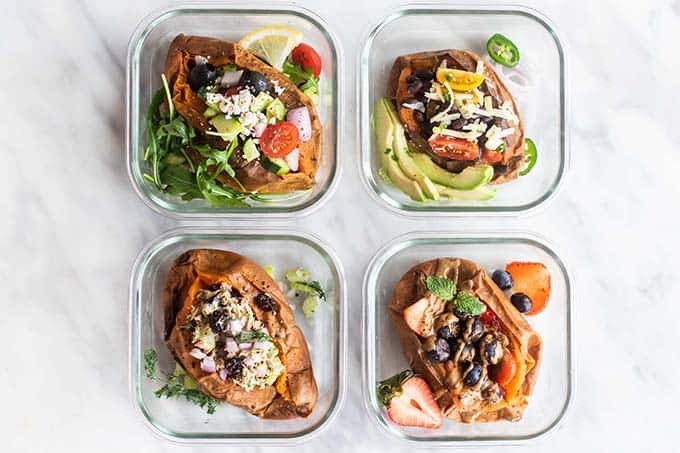 Here is a selection of my favorite baked sweet potato recipes. Before getting into fancy recipes, the most important recipe you’ll find here is how to bake the perfect sweet potato. I watched my grandma bake potatoes like this for years, and it took me a while to develop the patience to really allow the potatoes to cook down to sweet creamy perfection! This recipe serves as a base for a lot of other sweet potato recipes! 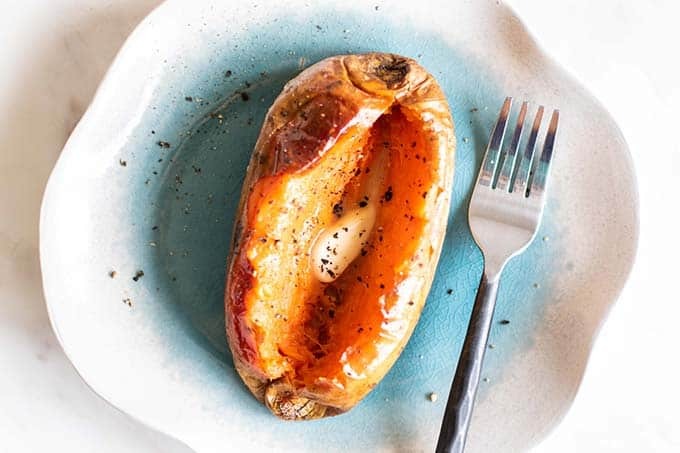 Using the method above for the perfect baked sweet potato, these 4 easy recipes require NO COOKING and minimal prep. 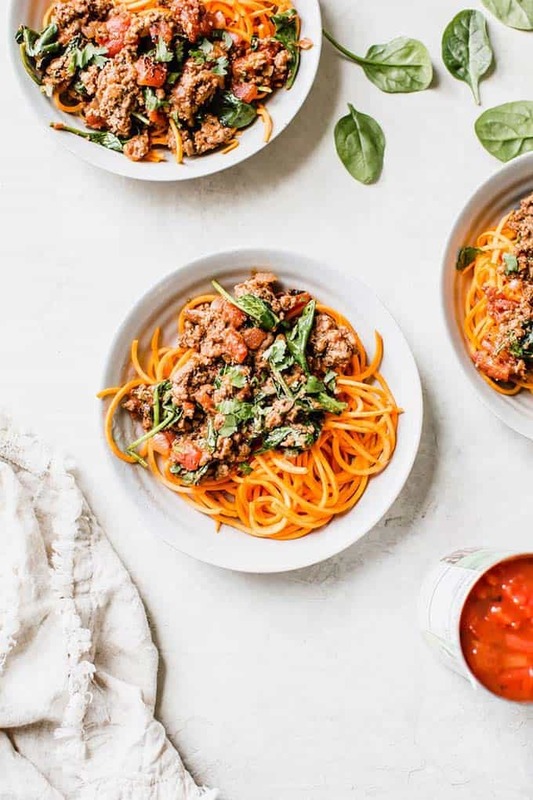 Keep these fillings in your fridge for quick, healthy, gluten free meals. Choose a Greek Salad, Tart Cherry Tuna Salad, Black Bean Burrito, or Sweet Berry Almond Butter filling. 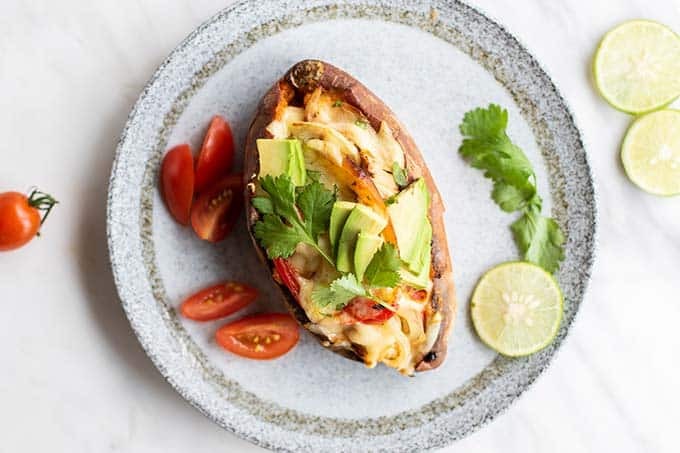 The best of both worlds: the ultimate creaminess of a baked potato and the Mexican flavors of chicken fajitas gathered in a great dinner to share with friends or family. You will need only a few ingredients to step up your baked potato game and give it the incomparable flavors of the Southwest! Sweet potatoes for breakfast? 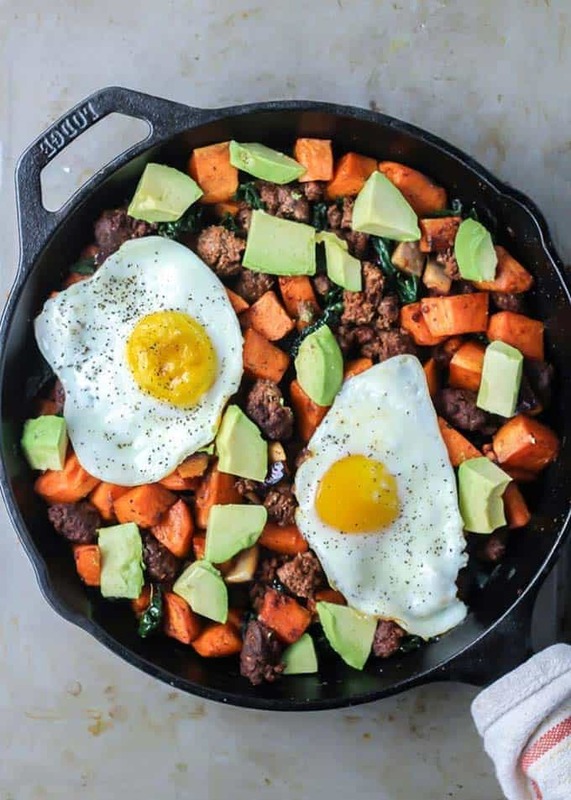 If you have never thought about it, here are some inspiring and easy-to-make recipe ideas to get make the perfect Sweet Potato breakfast. They are all meal-prep friendly and gluten free! The ultimate sweet potato recipe for a make-ahead breakfast or to meal prep a healthy lunch ! Call it Sweet Potato Quiche or Casserole, this easy recipe is made with a sweet potato crust, kale, bacon and mushrooms. Not only is it gluten free, it also is Whole30 compliant and dairy free. Almond and coconut milk keep it moist and creamy, so you can enjoy it longer. 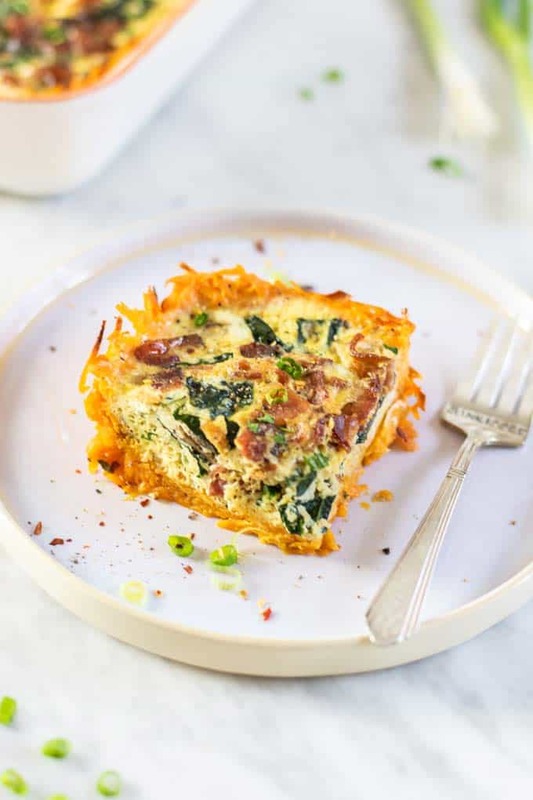 This Sweet Potato Frittata is one of my favorite breakfasts, with its crust made of shredded sweet potatoes baked into a layer. I added spinach and caramelized onions to turn it into a wonderful and nutritious breakfast. 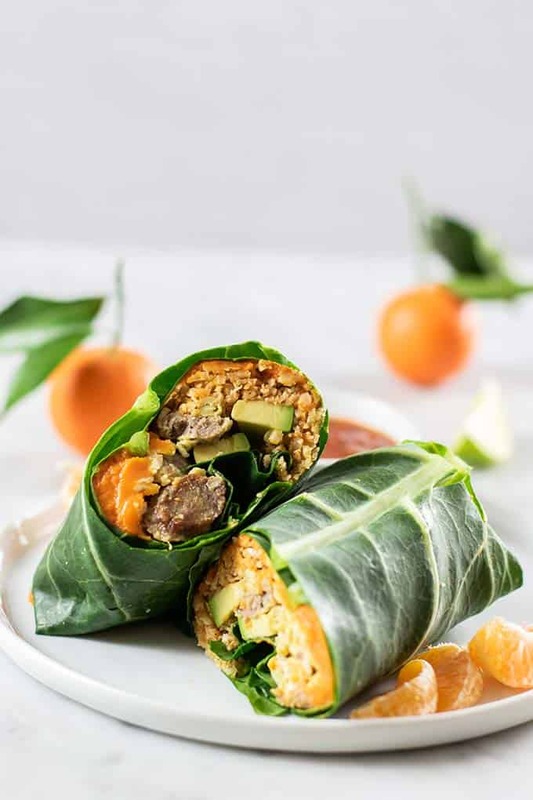 This healthy and Whole30 breakfast burrito would not be the same without its layer of creamy roasted sweet potatoes. Eggs and turkey sausage would have most likely felt lonely, wrapped in their crunchy collard green, without a sweet companion! 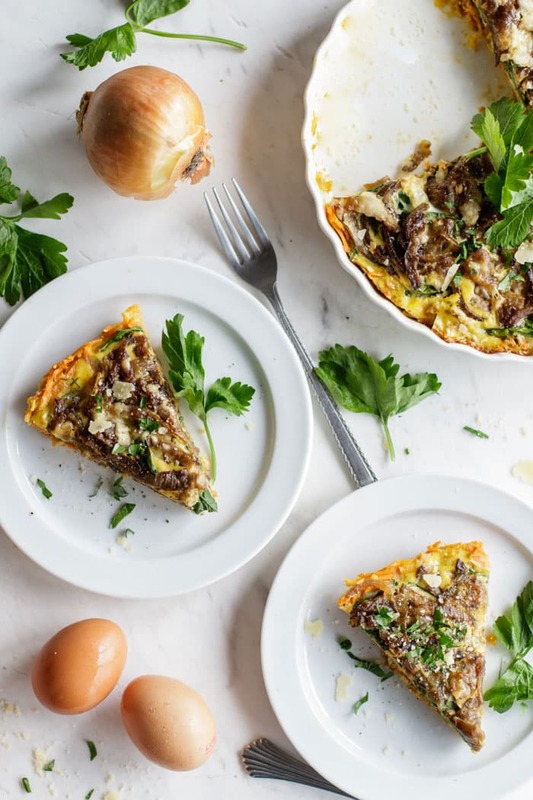 This mouth-watering breakfast skillet is made of 6 ingredients that you might just have on hand. A creative and tasty way to surprise your family with a wholesome first meal of the day. Gluten free, paleo friendly and packed with whole foods. 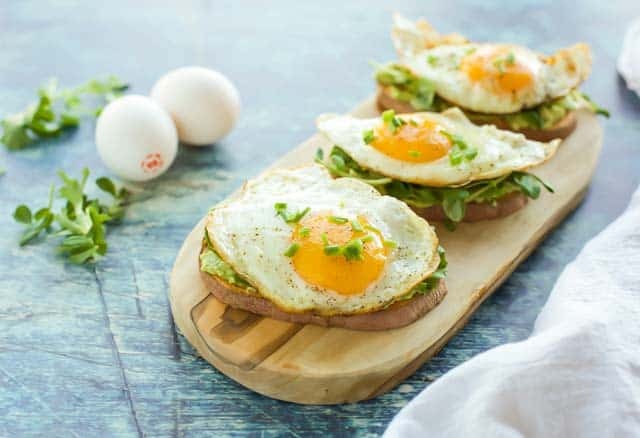 A slice of sweet potato tossed down the toaster until brown and tender, that is the key technique to this easy yet creative breakfast recipe. Whole foods and deliciousness! Sweet potatoes make magic when used in these creative ways. Learn to use sweet potatoes as a nutrient-dense alternative to wheat products! 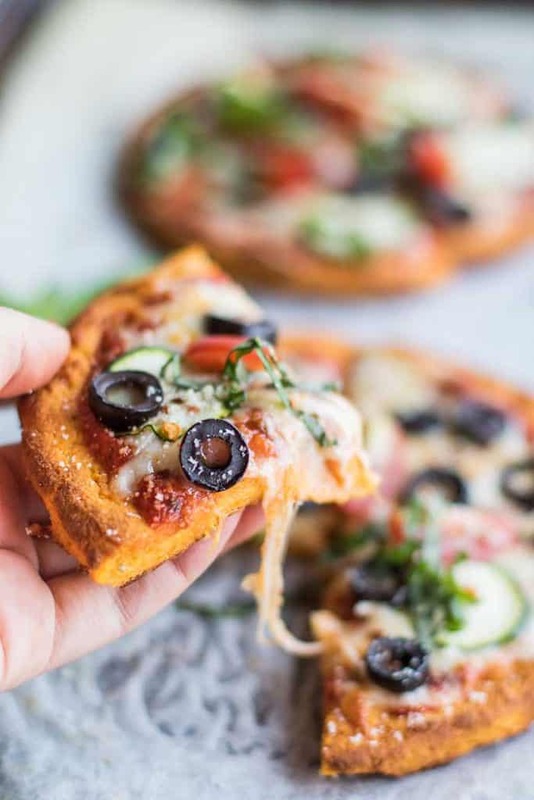 Fall in love with this gluten free and paleo-friendly Sweet Potato Pizza Crust the way I did. A truly amazing taste and texture, doubled with full-on nutrients and proteins. 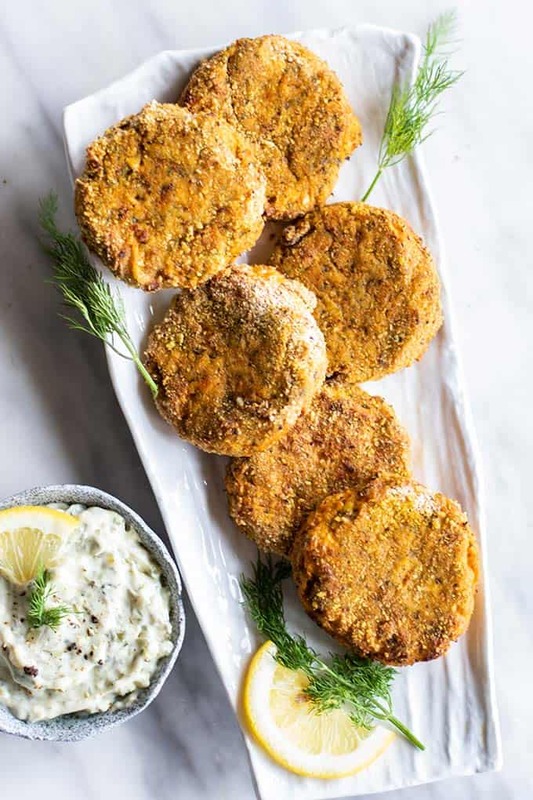 These Salmon Sweet Potato Croquettes have definitely made it to the top of my appetizer list! Baked and not deep fried, they make a super healthy starter or a light crispy lunch. Playing with leftovers can be quite an art — transform your turkey into a new and delicious meal. 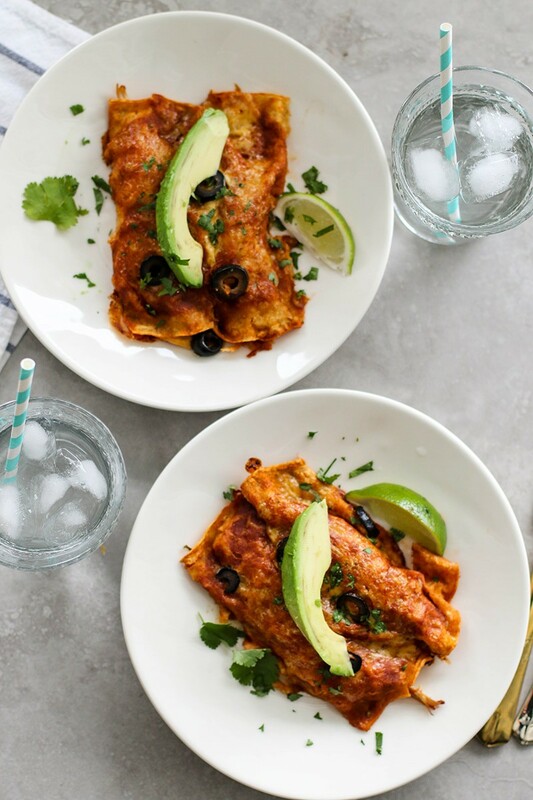 These Leftover Turkey Sweet Potato Enchiladas are an example of how you can avoid wasting precious food that dries out too quickly. Sauce and cheese are doing the trick and turn this one into another great sweet potato based dinner. 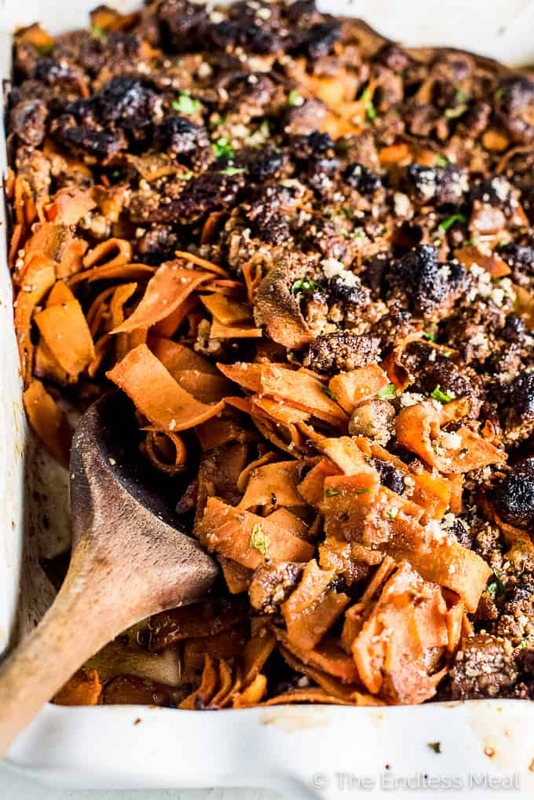 Spriralized sweet potatoes transform this pasta dinner into a paleo-friendly feast! Casseroles are one cozy way to gather great ingredients into one heart-warming dish. This holiday classic gets a healthy, gluten free makeover. A sweet casserole that relies on a sweet crisp crust to compliment the creamy mash instead of marshmallows. Elevate your casserole by using ribbons of sweet potato for an interesting texture. 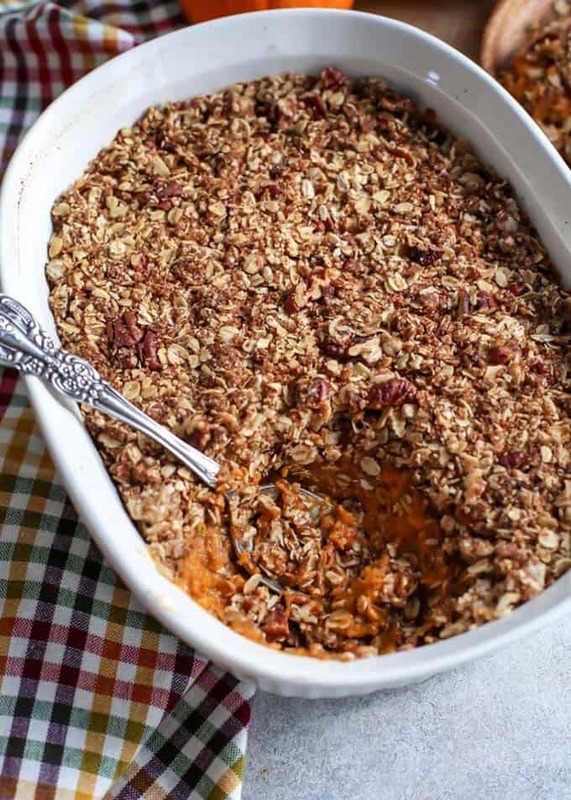 This casserole using maple syrup and has a crispy pecan topping. 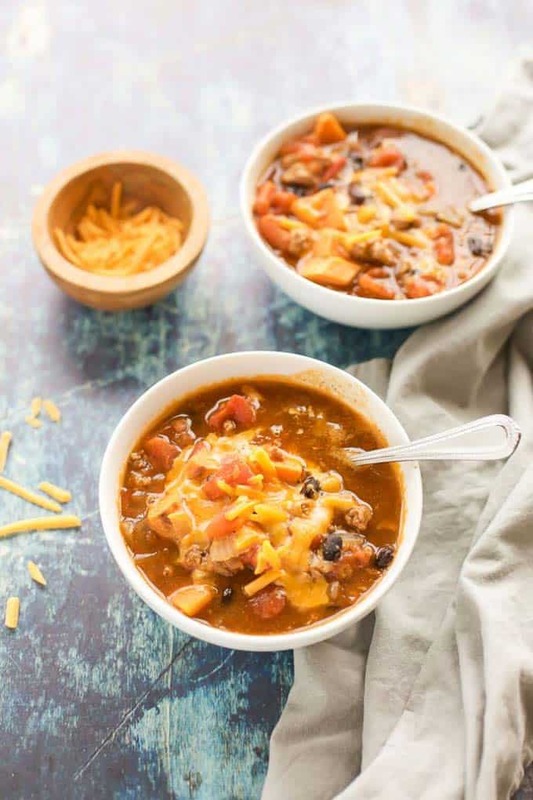 What’s better than a chunky chili or an vegetable-packed soup to get you through the long winter evenings? 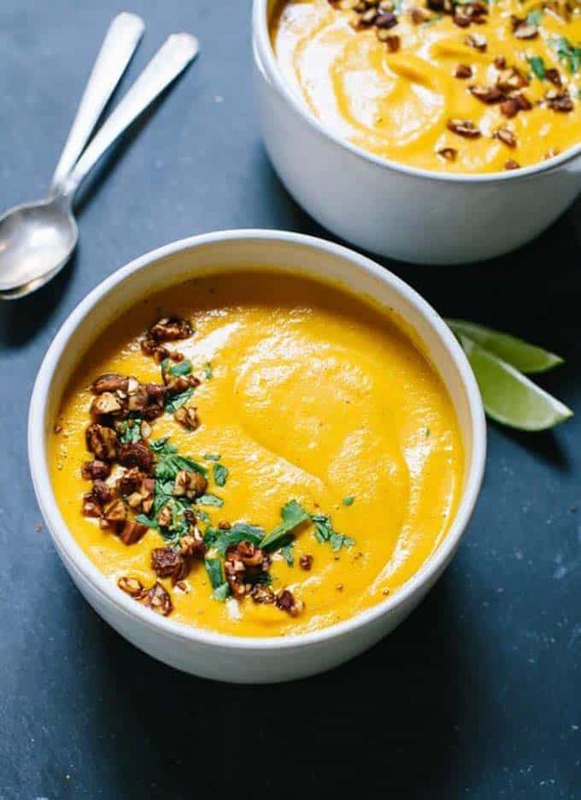 This selection of Sweet Potato Chilis and Soups should provide you with some tasteful ideas for your chilis and soups cravings. Make your special a very special one by adding to it carrots, sweet potato and a tasty Thai curry. 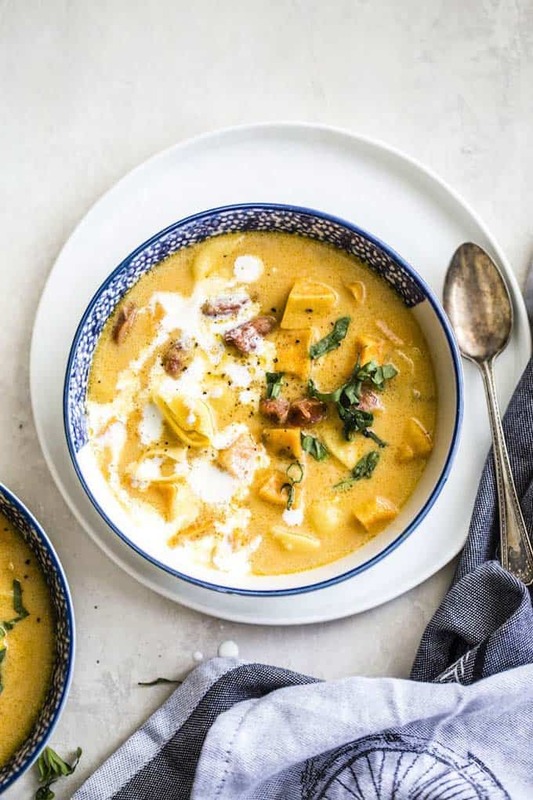 This recipe has a secret ingredient, almond butter, that puts the final touch to this creamy soup. This recipe makes me want to grab a spoon and have a taste. It is made with noodles that are easily replaceable with any kind of gluten free grains to keep it as healthy as it gets. Turkey, beans, quinoa and spices have come together to offer this beautiful wholesome chili. Ideal to keep you warm during the holiday season but not only because there will always a time and a place for a chili, won’t there? Have other ways you like to use sweet potatoes? Let me know in the comments! 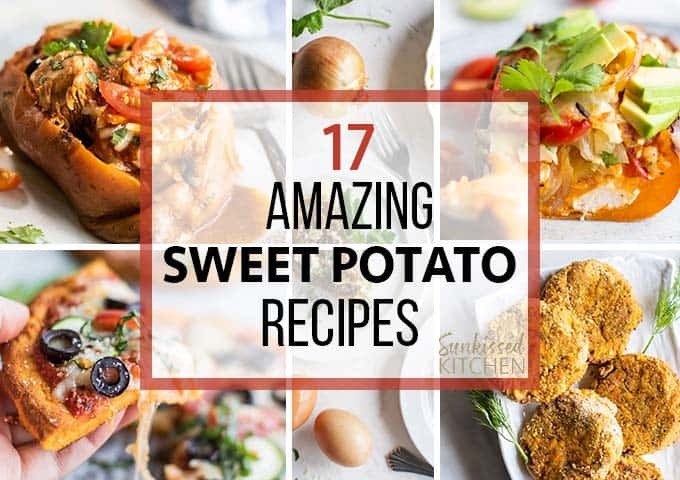 So many good looking sweet potato recipes here girl! I used to only eat them with a drizzle of maple syrup and that's about it but they are so versatile and such a good for you carb! They are perfect for all types of sweet and savory dishes. Exactly! I always have them in my fridge. Definitely one of my favorite foods!